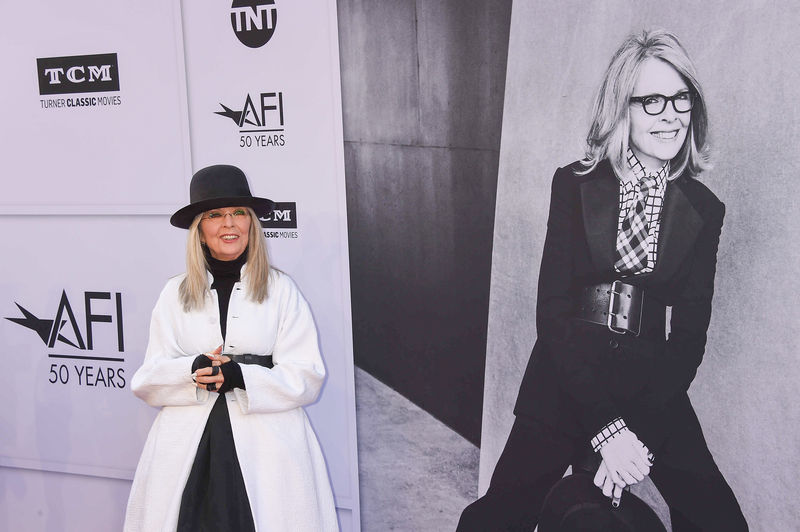 Here's what we learned from Diane Keaton's AFI tribute, where Al Pacino, Martin Short, Steve Martin, Meryl Streep, Woody Allen, Warren Beatty, Morgan Freeman, Reese Witherspoon, Nancy Meyers and more lauded her amazing life and career. 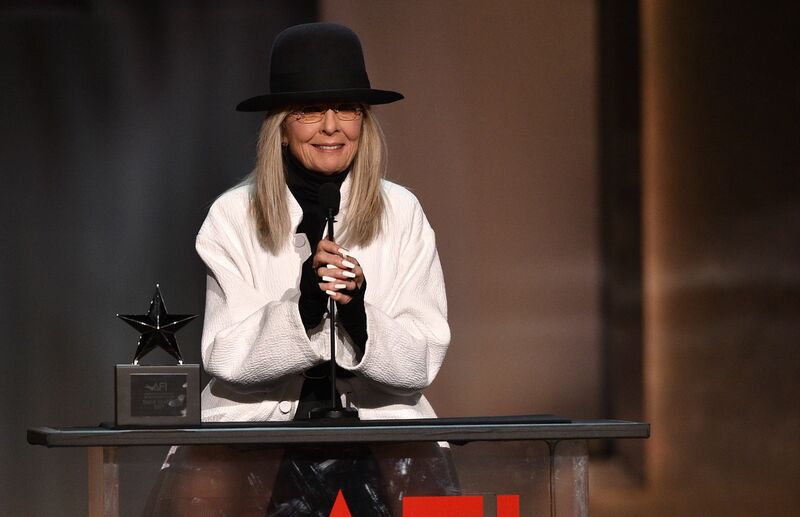 When Diane Keaton accepted the 45th AFI Life Achievement Award from Woody Allen in Hollywood Thursday night, it was the end of one of the more memorable AFI tributes. And as one actress after another explained why Keaton was such a significant role model — from Oscar-winners Emma Stone, Reese Witherspoon (Keaton-directed TV movie “Wildflower”) and Meryl Streep (“Marvin’s Room”) to Rachel McAdams (“The Family Stone”) and comedienne Lisa Kudrow (“Hanging Up”) — it struck me that all actresses should pay attention to why Keaton is so admired and emulated. Keaton launched her Hollywood career with the day-long wedding scene in “The Godfather,” at the end of which she and fellow theater outsider Al Pacino proceeded to get royally drunk. Keaton enjoyed her share of amazing romances, from Pacino and Woody Allen, who movingly admitted that she contributed to “much of what I’ve accomplished” (arguably she starred in his best movies, including “Sleeper,” “Love and Death,” “Annie Hall,” “Manhattan,” “Interiors,” and “Manhattan Murder Mystery”) to Warren Beatty, who also turned up to say that she made the movie “Reds” work. (She mouthed back, “It was you”). Keaton did what she wanted with her life and her career, including raising two kids. She had it all. No one else is like Diane Keaton (born in Los Angeles as Diane Hall). 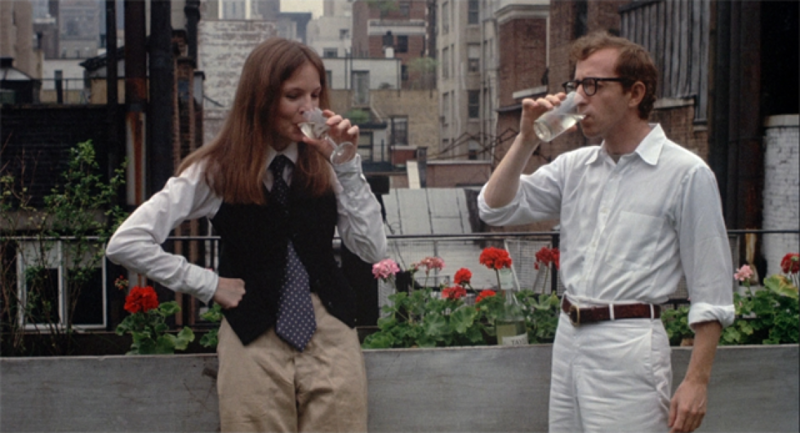 She is inimitable, from that first ditzy “la di da” in 1977’s “Annie Hall” (for which she won her only Oscar) to her iconic fashion sense, which Allen had the sense to let her follow in that movie. Those were her clothes, ties, and hats. You can see Keaton wearing her iconic wide black leather belt in “Baby Boom.” When her “Hanging Up” star Kudrow read a blow-by-blow rambling transcript of a legal deposition, the audience roared. It was Keaton, all right. Jane Fonda wore a white suit to honor Keaton’s preference for white — “She owns the color white… it’s a reminder of strength. You don’t need anybody to empower you. Nobody runs Diane.” In the AFI’s excellent video interview, Keaton wears white against a totally white room. Even Keaton was amazed that director Nancy Meyers not only convinced Jack Nicholson to star opposite her in “Something’s Gotta Give,” but let her go full frontal at age 55. We should all look so good, at any age. That’s what Keaton told McAdams on the set of “The Family Stone.” The younger actress followed that advice, along with Keaton’s admonition not to be too picky about men and to always wear her best underwear. That night she was wearing Spanx, she confessed. 4. Enjoy doing many things. After Keaton directed a music video for former Go-Go Belinda Carlisle, she moved on to documentary “Heaven,” which recycled vintage Hollywood depictions of the afterlife, and various TV movies and episodes (“Wildflowers,” “China Beach,” “Twin Peaks”) as well as features as “Unstrung Heroes” and “Hanging Up” — which she shot entirely on video before she started filming, with herself playing all the parts. She not only wrote her memoirs but books about photography, clown paintings, and design. At the AFI tribute, when I introduced Netflix chief content officer Ted Sarandos to Keaton, they talked about cool Los Angeles architecture. Of course. Do check it out when it airs on TCM on June 15.